Four very short stories about the everyday life of a little girl. Alexandra’s adventures include changing her name, bedtime fears and a plaster disaster. These warm stories were originally broadcast on RTE’s The Den and are great for reading aloud. Four very short stories in Irish about the everyday life of a little girl. 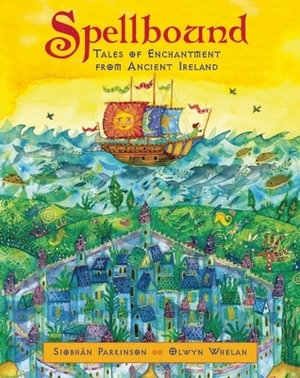 Fionnuala’s adventures include changing her name, bedtime fears and a plaster disaster. These warm stories were originally broadcast on RTE’s The Den and are great for reading aloud. When six-year-old Matthew and his parents discover that the baby they are looking forward to welcoming into the family is not going to live, they are devastated. A touching story of grief and consolation. This book is unfortunately out of print and is not easily tracked down online. A tale of three little girls, their forgetful Uncle Fergus, a gold coin, a silver shilling and a penny that gets buried and grows into a tree of coins. This is a companion story to Animals don't have Ghosts. This book is out of print, but may be available online. This is a companion story to Cows are Vegetarians.